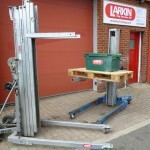 Larkin is an Engineering Services Provider, formed by a group of experienced, forward thinking individuals. 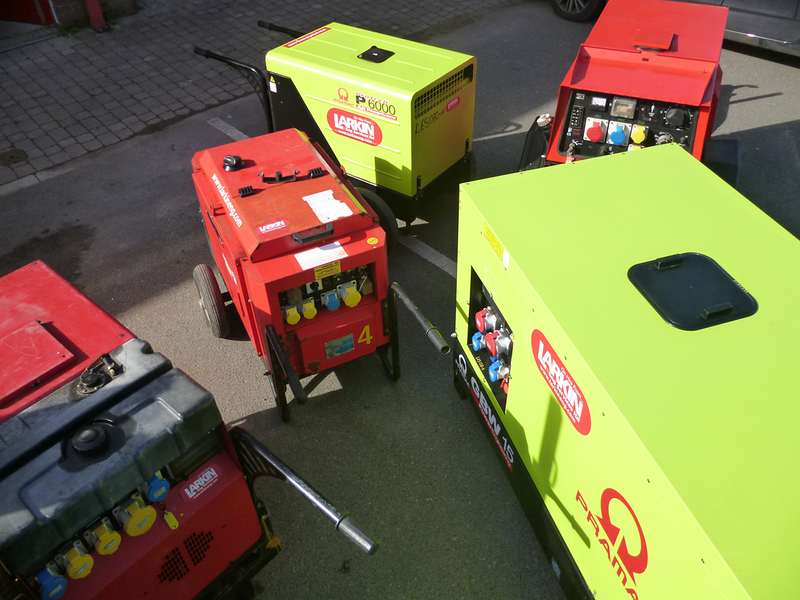 We can offer an extensive range of flexible solutions and specialist services, to meet the customer’s total expectations, in a safe and cost effective manner. We can undertake and manage construction sites, working under CDM regulations, ensuring maximum safety is controlled, achieved and maintained over the duration of the installation. 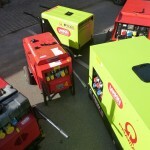 Experienced and trained Labour can be provided, either in-house, or onsite as the client and project dictates. Project Management support offers the planning, organizing, motivating and controlling of both resources and subcontractors to achieve specific goals. to offer the end user a total flexible approach and at whatever level of support they require. 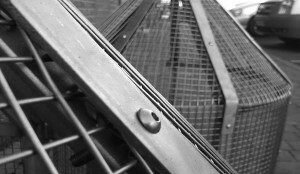 Typical fabrications include structural steelwork/secondary steelwork, sheet metalwork and cladding, staircases, lifting beams, davit arms mezzanine flooring, platforms, walkways, balustrades,ladders and fire escapes. We can also help with your conceptual or detailed design and where required this can be supported by structural steelwork calculations. 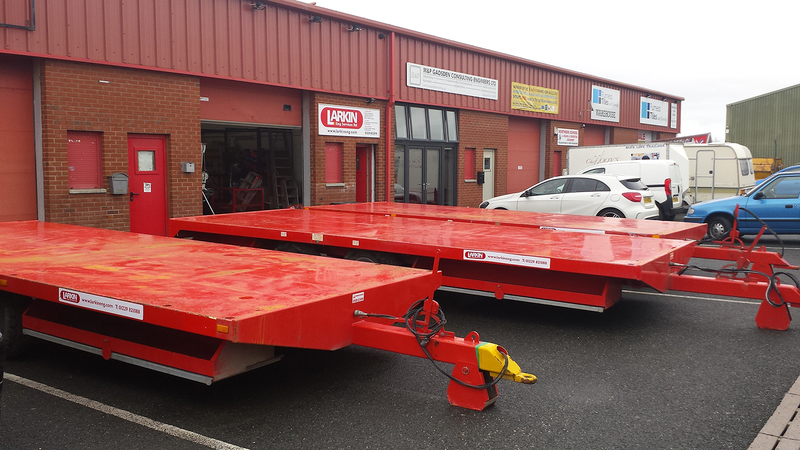 Materials worked include Mild Steel, Stainless Steel and Alloys. 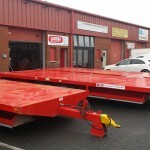 Galvanising, Painting & Powder Coating can also be offered. Safety is a crucial consideration during steel erection. This is particularly the case as part-erected structures can be vulnerable to collapse. The design, setting out and the method of erection should accommodate the various interfaces with the structure, and the associated tolerances. We can provide trained personnel for site supervision of erection and installation of steelwork to overcome these difficulties. Inspection and checking occurs at each stage in the fabrication process and after final assembly. 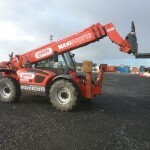 Control and Supervision of all Lifting Operations may also be provided. 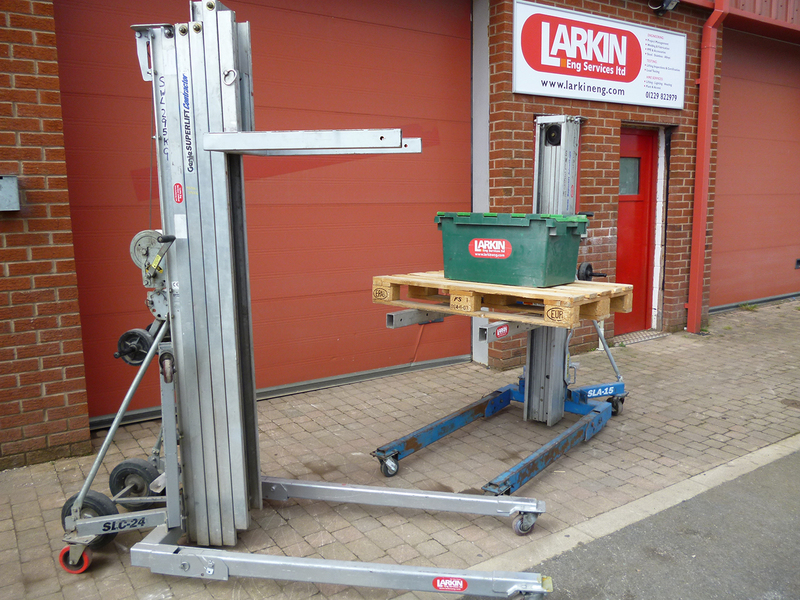 Larkin employ a qualified Test Inspector that provides a range of services to support the Inspection and Thorough Examination Certification of Lifting Equipment and Accessories. 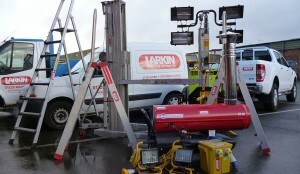 Proof Load Testing can also be performed in-house on Test Rigs or onsite to validate new equipment and installations. All Testing and Inspection reports are captured using a Software & Safety Compliance Management system, so all records are fully accessible from your Laptop or Mobile Phone 24/7/356. Automatic notification is forwarded by email, direct to the client, when Periodic Inspection is due, a few weeks in advance. 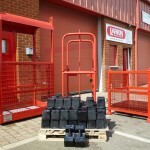 This will ensure that all lifting equipment is captured and maintained under the LOLER regulations. 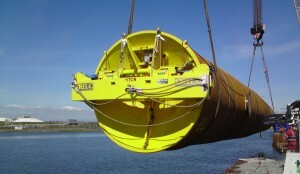 Holland and Germany where we have supported Ballast Nedam, Tideway, MT Højgaard and Martin Bencher. Transition Piece preparation: Jacks, Manifolds and Hydraulic Hoses, Fog Horns and Navigation Lights, ID Plates, End Gates and Hand Railing. 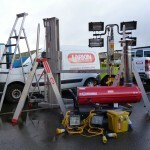 Monopile sea deployment preparation: Main Sealing End Caps, Blow off Control Valves and Pressure Testing. 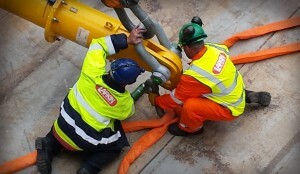 OSWF Support Vessel maintenance and repair work: Coded Welding/NDE inspection and Pump/Pipework replacement. 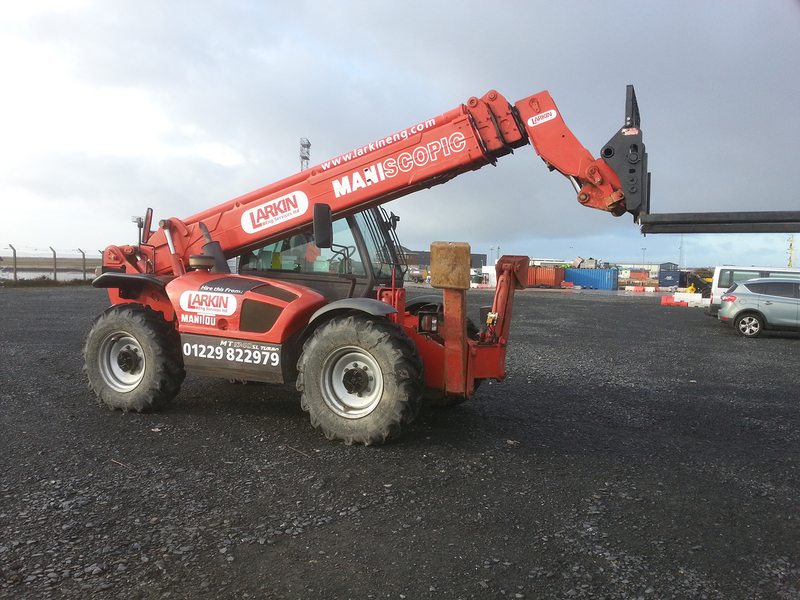 Appointed Stevedore Operator for the Port of Barrow working directly for ABP. We control the unloading, storage and deployment of 65,000 Tonnes of material every year for a local tissue paper mill. 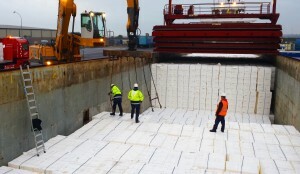 Utilised for Scour Protection, which also included the Erection and Maintenance of Large Stone Loading Conveyors, Stock Pile Management and General Site establishment. Discharge and Deployment services including the supply and installation of sea fastenings and lashings for a number of clients supporting the OSWF and Boat built sectors. 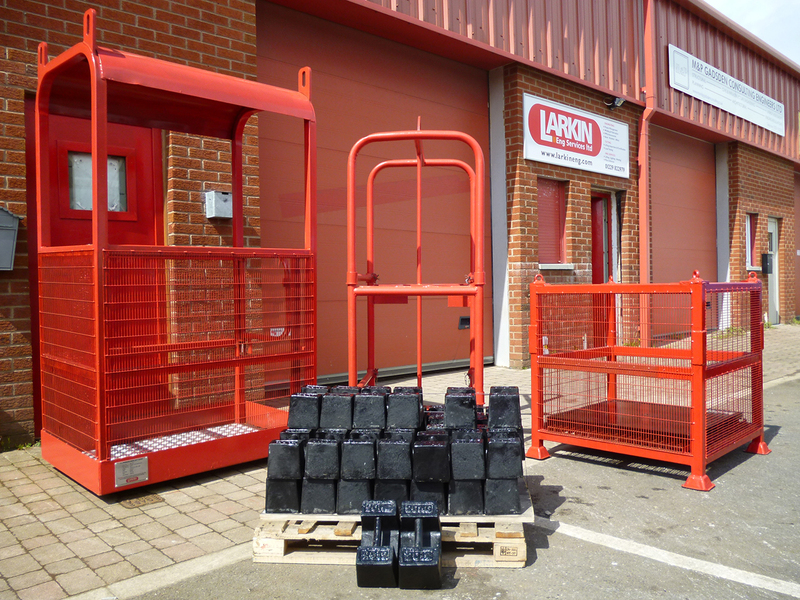 Larkin are a member of Hire Association Europe, which is the industry’s leading trade association for the plant and tool hire sector. 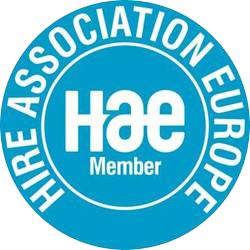 This ensures the end user is protected, supported and informed by the Trade Associations, Industry Bodies, Industry Events and current Publications that HAE endorse. 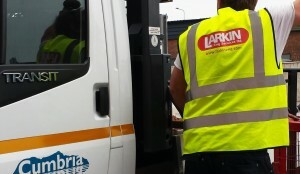 Larkin support a number of companies with their Procurement Management requirements. We act on their behalf to support their Outsourcing needs and in some cases have provided a third party Intermediation Service between Supplier and the Client. We operate from an Extensive Supplier Base, which ensures Competitive Pricing and enables us to respond immediately to any requirements. 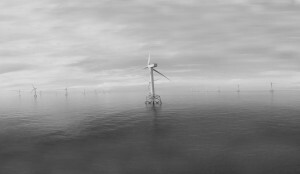 For a number of OSWF operators, including Vattenfall, DONG Energy and Siemens, we maintain Stock Levels on a number of identified agreed to support their works. 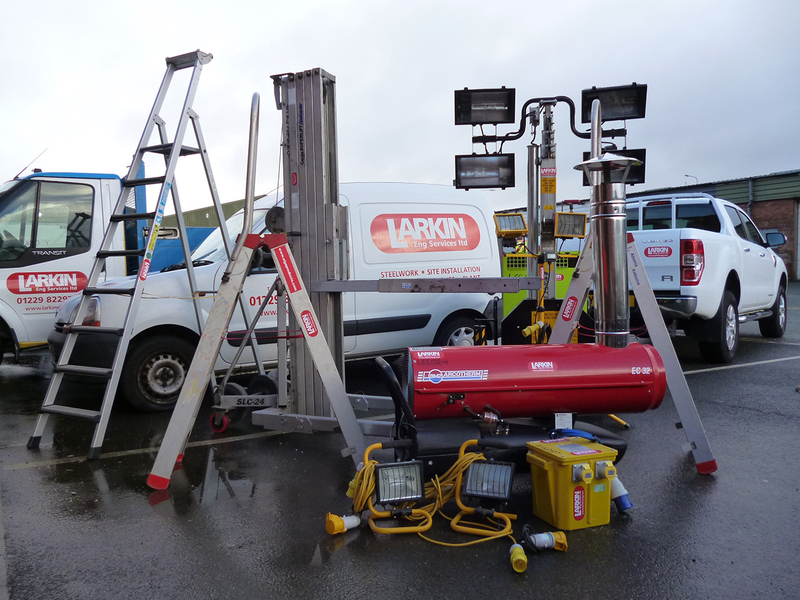 Larkin can supply a range of specialised PPE equipment from top named brands including Roots, Portwest, Snickers, Beeswift and Dickies. A garment personalisation service including design, embroidery and heat-seal transfer, is also available.